As Sarah Miles drives down Eighteenth Street a stranger materializes in front of her car. She throws on her brakes, braces for impact...and drives straight through him. For a moment, his voice filled with quiet despair echoes in her head. Saura. Saura. Then he is gone. 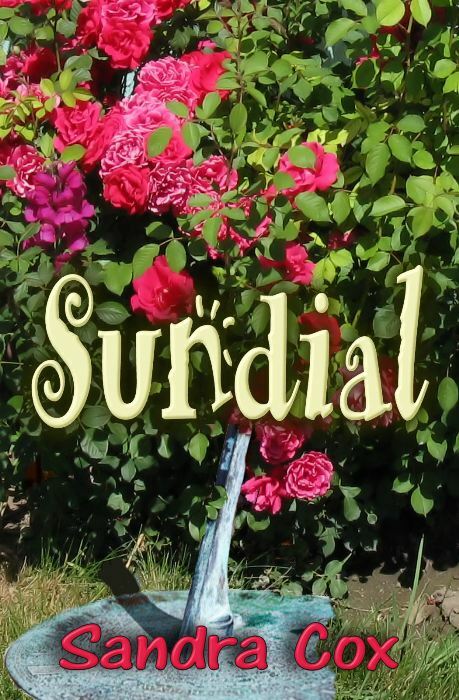 Later that day Sarah discovers the SUNDIAL and her incredible journey through time begins. I was driving home listening to MPR and they were talking about something you may have already heard about. We all know about the violence in Mexico due to the drug cartels, but this particular story brought a lump to my throat. Fifteen people were killed at a birthday party, four of them were on a high school American football team. Their coach is very enthusiastic about American football. He feels it keeps the young men busy, teaches them responsibility and keeps them in school where they'll have a chance to get an education and better themselves. The team even does community service. After the shooting the coach was afraid that no one would go out for football, but the young men turned out in record numbers. "Don't worry about the world coming to an end today. It's already tomorrow in Australia. We are endlessly given advice. Usually it’s in one ear and out the other. But once in awhile something sticks. What stuck with me: I was walking down the sidewalk back when I was in college. Since I was tall I tended to slouch. A young black male passed me and without breaking stride said, “Walk proud tall girl.’ I’m not sure why that has stuck with me, but it has. I don’t always remember to follow his advice but I’ve never forgotten it. 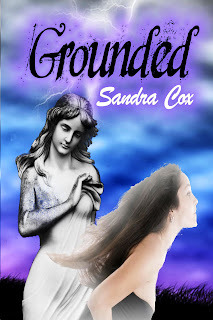 For a chance to win a PDF copy of GROUNDED just leave a comment mentioning the advice that stuck with you at www.downtownya.blogspot.com. The drawing will be next Sunday, September 19th. I live on a lavish estate in the mountains of North Carolina. Between sunset and dawn, my life is my own. But during the day I’m grounded in several hundred pounds of marble. If you happen to wander by the Stone estate and peep through the fence, you’ll hear the rippling sounds of water from a lovely manmade pool surrounded by lush fragrant flowers. Beside it stands a life size statue of a young woman, with long flowing hair and classic bone structure, draped in a Greek toga a cat at her feet. Today I'm at the Examiner with Teri Thackston. If you have the opportunity, please drop by and say 'hey'. 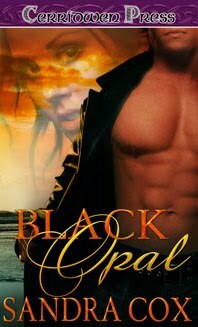 For an opportunity to win a PDF of Black Opal, just leave a comment. The drawing will be held Sunday September 12. The mingled scents of alcohol and heavy perfume hung like a low mist in the air. Beads of perspiration glistened on Sabina’s forehead as the heat from the stage lights enveloped her. Eyes closed, she barely felt it. When Sabina sang she became one with the music. Every strum of the guitar, every bluesy note of the sax vibrated through her body and into her soul. She could feel her emotion reflected in the throbbing hush of the audience as the song erupted from her throat like a nightingale in flight. She clasped the sweat-slicked microphone in her hands and drew air deep into her lungs. Just as she reached for the high note, a hard body careened against her and knocked her off the stool. Sabina saw the horror on the faces of the audience as she arced through the air in slow motion before she and the man wrapped around her, slammed against the wooden floor. Moments later the large stage light landed with a loud crash, splintering the stool she’d been sitting on. The audience jumped out of their seats, screaming. Their voices filled with fear and panic. “Pull the curtain,” the manager yelled over the shrieks. “It appears I’m saving your life.” The voice was calm, whiskey-smooth but she’d felt the shudder that ran the length of his body before he spoke. “What the hell just happened?” His arms tightened around her. 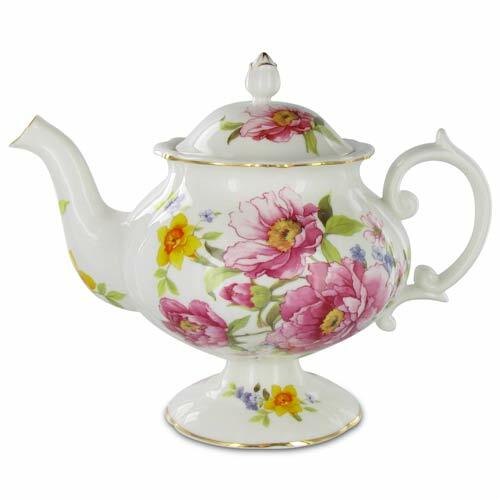 Women are like teabags; you never know how strong they are till they're put in hot water. I thought you might like to see the winner of the Catnip Contest. Binky's proud momma sent this in. Binky was a shelter cat that was lucky enough to get adopted. Someone dear to me had the most amazing experience. She is in the process of a separation. With little to no money she had to find a place to live in a relatively short amount of time. She is in a large city which means three months rent up front and credit checks. She had been looking all month with no success. A steadfast friend came in to help her find a place. It was a dark gloomy overcast day. Her spirits were low. They went from rental to rental, most in dangerous neighborhoods asking more than she could afford. Then they answered an ad in a very nice neighborhood. When the taxi pulled up in front of the house, the sun came out and shown fully down lighting the house. They got inside and everything fell into place. Nice place to live, reasonable rent and wonder of wonder, the other people that lived there are professionals in her field. Karma.